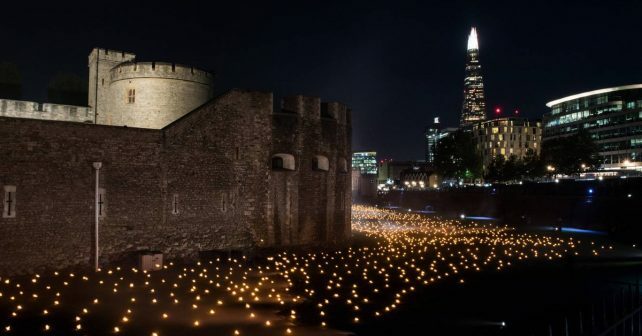 In the run up to Armistice Day, the Tower of London is commemorating the centenary of the end of WW1 with an absolutely stunning light and sound display. Beyond the Deepening Shadow: The Tower Remembers is a new installation that runs nightly until – and including – on Sunday. The moat is being illuminated with individual flames that the Yeoman Warders will manually light, to the accompaniment of a new especially commissioned choral work.